So read on for a sampling of our favorite outdoor activities, both in winter — uh, skiing and riding — and when the weather turns nice. We've also included some choice spots to get you outfitted for whatever activity you choose — cuz you don't want to be the chump skiing in jeans. Corduroy is for wimps. Boasting some of the most challenging and ungroomed slopes in the East — accessible via one of only two single-person chairlifts in North America — Mad River's slogan dares you to "Ski it if you can." Whatever you do, don't try to snowboard it. No boarders allowed, brah. Just a half-hour drive from downtown, Bolton is Burlington's closest ski area and one of the best peaks for night skiing and riding. Once it's covered with snow, the hill at BCC becomes Burlington's most popular sledding destination. But watch your speed, hot dog. Kids and families abound. Don't let the "family" in the title keep you away from this 500-acre spread on the outskirts of Burlington. Come here for biking, cross-country skiing and running. When the lake freezes over, Burlington Bay is a magical ice skating spot. There's nothing quite like looping figure eights with the Queen City skyline as your backdrop. Bundle up — Vermont's chilly, northernmost resort has lots of fresh powder and great glades. To defrost, surf, swim or waterslide at the Pump House Indoor Waterpark. Vermont's preeminent alpine resort boasts unrelenting verticals, a fully stocked terrain park, a fancy lodge and a first-rate performing arts center. They don't call it the "Aspen of the East" for nothing. Vermont founding father Ira Allen initially named this distinctive 4,083-foot mountain Camel's Rump in the late 1700s. And, yes, there's some question as to whether Allen had ever actually, y'know, seen a camel, as the mountain only vaguely resembles one. Whatever. 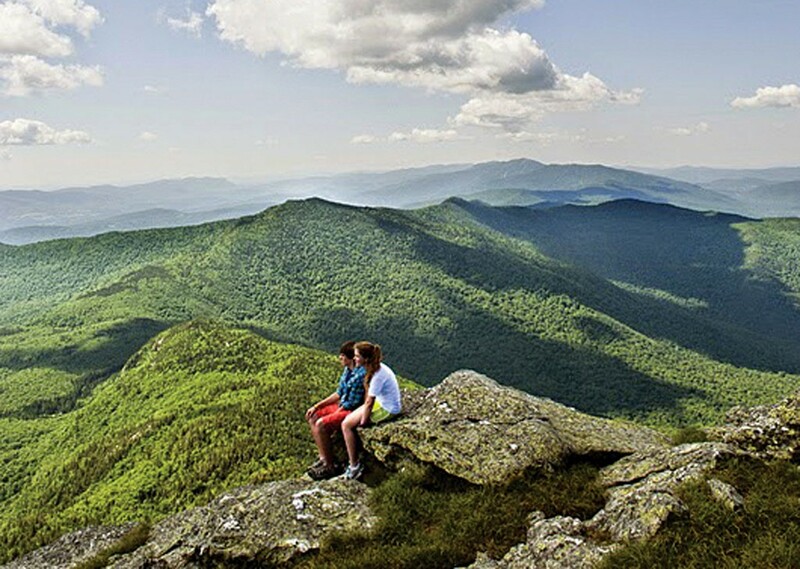 The summit still offers one of the most jaw-dropping vistas in the state. From the Huntington side, you can go up to the top and make it back to town in time for dinner. Swimming holes are everywhere in Vermont, which is a good thing when Lake Champlain inevitably sprouts an algae bloom. Bristol Falls, just outside of cute-as-a-button Bristol, is one of the more scenic — and safe — spots to cool off. It features a 15-foot waterfall that empties into a deep, chilly pool. Old salts who know the difference between a jib and a spinnaker can rent sailboats at this community-oriented sailing center from May through October. If you're here in the summer, take lessons or test your skills in weekly races. This 14-mile bike trail runs along Lake Champlain from Oakledge Park all the way to the Colchester causeway — a narrow old railbed that extends three miles into the lake. A bike ferry connects you to the Champlain Islands in the summer. Mt. Philo is the perfect high-altitude spot for a picnic with friends. There's a steep trail to the top, but your less adventurous buds can drive up the 968-foot peak from late May to mid-October. Either way, you have to pay. Students flock to this popular sandy strip as soon as the temperature cracks 40 degrees. To avoid the crowds, walk a few hundred yards south to Texaco Beach, where in-the-know locals go, with dogs in tow. Tennis, volleyball and bocce — and the occasional hipster kickball league — are draws at this beautiful South End park. The picnic pavilions, spacious lawns and clean beach are nice, too. Respect your elders, especially if they invented your sport. Jake Burton's flagship store is the first stop on any boarder's quest for pow — not to mention any quest for steez. Burton is a trendsetter in both gear and style. "Ski today, work tomorrow" is the motto of this locally owned outfitter, housed in a roadside ski chalet and in business for more than half a century. It has everything you need for your alpine adventures — including stylin' après-ski apparel. Look for climbing, hiking, camping and paddling gear here. They've got boats, too! Show your student ID for a 20 percent discount on EMS-brand items; you get 15 percent off everything else, as long as it's not already on sale. Superior service and great outdoor gear — packs, tents, sleeping bags and jackets — are the foundations of this one-stop, locally owned-and-operated shop. The self-described "most unusual bike shop on the planet" is the best place in Burlington to find a vintage ride. Its staff tunes anything with two wheels. They sell new stuff, too. 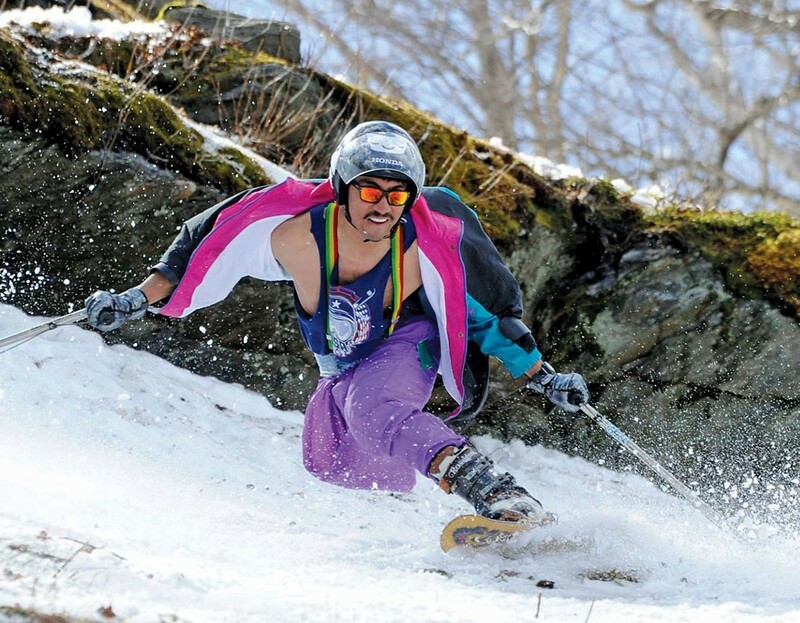 SnowSports Industries America has called this the No. 1 ski shop in New England. Skirack is also a sizable bike shop with tons of two-wheelers, from BMX to downhill. Yes, Burlington has a surf shop. The city's only exclusively water-sports retailer offers access to the wind and waves. Gear up here for windsurfing, standup paddleboarding and kiteboarding. As Big Firms Gobble Up Ski Resorts, Are Burke and Jay on the Menu?